Each week, I talk with makers, doers, artists, and performers about their unique journeys and what they love about living in Vermont. Ginge O’Lolly and Dr. 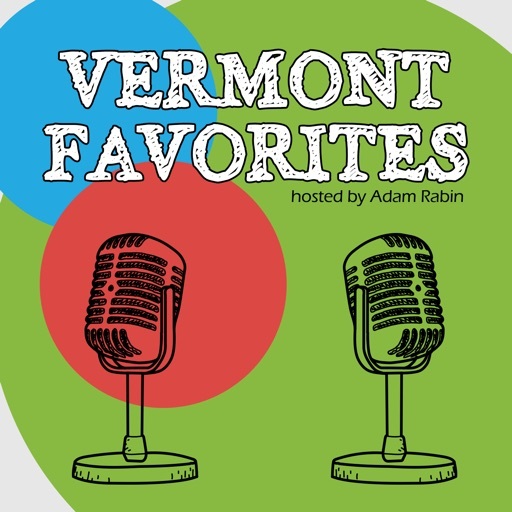 Vu from Green Mountain Cabaret join me for a fun chat about the history of burlesque, the Vermont scene, and what’s coming up this Winter for GMC. Steve Hartmann is a singer/songwriter who was born in Vietnam at the end of the war, grew up outside Philly, studied at Berklee in Boston, and eventually found his way to Vermont. His style is both passionate and intricate and speaks to a lifelong search for belonging. Hartmann performs two songs (“Sweet Angel” and “You Are”) and talks about his support of The Ramble festival. Now settled in Jericho, Vermont Steve performs around the region regularly. Lydia Kern is a Burlington-based sculptor, dancer, and she also plays a mean glittered cow jaw in a local band. We talk about the upcoming AutoBiography performance and how it will be “a beautiful cacophony of artistic inspiration and humanity.” And, of course, we talk about the thriving and supportive Burlington art scene. Phillip Peterson has brought together his experiences in the arts (as a child actor) and sciences (as an engineer with the City of Burlington) to create STEAM Lab which airs Sunday evenings from 6-8 on 99.3FM Burlington. He is also a teacher, SCUBA diver, music aficionado, and extrovert to the max. Gray Basnight and Mike DeSanto met at George Washington University in the 1970s where they were studying theatre. Now, 40 years later, Gray is a published author based in NYC and Mike owns Phoenix Books here in Burlington. Like Gray’s new book, Flight of the Fox, we discuss American History from the formation of the FBI to Vietnam to 9/11. Basnight will be making an appearance at Phoenix on Thursday, September 13. Kathryn Blume is currently advocating cannabis awareness through Heady Vermont where she draws on her experience as an actor, playwright, environmental activist, and even game designer. We talk about the global performance of the anti-war Lysistrata Project, her self-designed Yale degree, and her recipe for recovering from a burst appendix: pot, Netflix, and a cat. RiffTrax writer Conor Lastowka has made a career out of poking fun at movies and books and, well, pretty much anybody who takes themselves too seriously. In addition to Rifftrax, he performs at Vermont Comedy Club, co-hosts a podcast with Mike Nelson of MST3K fame, and has published two novels – Gone Whalin’ and Pole Vault Championship of the Entire Universe. Artist Kelly Holt artist has worked in Vermont and Berlin, Germany. She is also the Creative Director and Curator for Edgewater Gallery in Stowe, Vermont. We discuss her own work in mixed media and photography as well as her collaborative works with many Vermonters. Tim Bridge, a talented and very busy comedian, jumps between improv, sketch, stand-up, and talking about movies. He won the Vermont’s Funniest Comedian contest in 2017 and performs regularly around the state. Tim and I talk about the stupidity of competitions, how great dogs are, and running his monthly Pullin’ Yo Chain stand-up showcase. © 2019 OwlTail All rights reserved. OwlTail only owns the podcast episode rankings. Copyright of underlying podcast content is owned by the publisher, not OwlTail. Audio is streamed directly from Adam Rabin servers. Downloads goes directly to publisher.